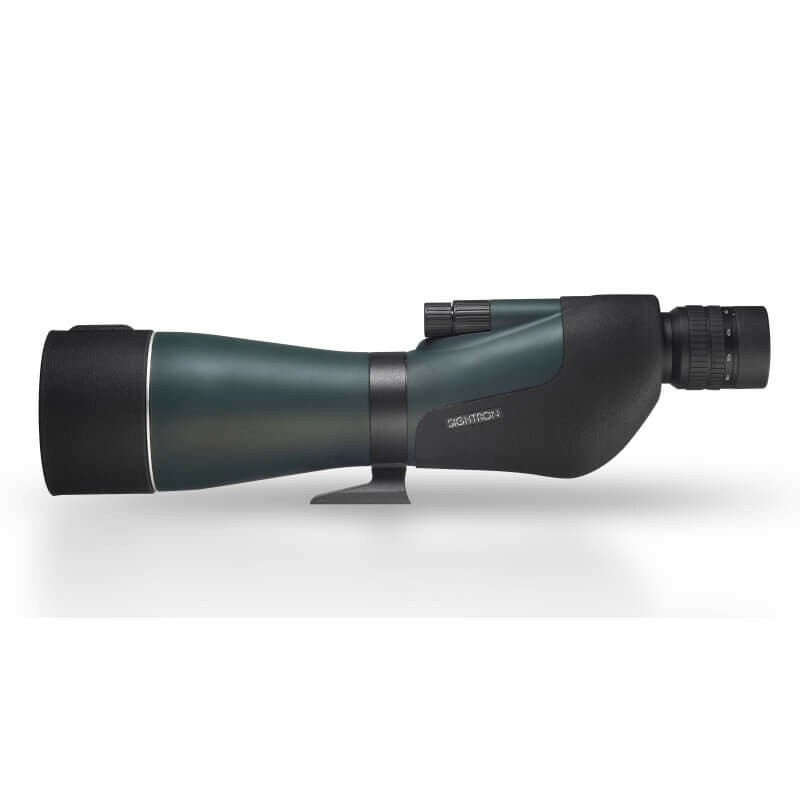 The Sightron SIIBL 20-60X85 HD Straight Spotting Scope comes fully multi-coated and is waterproof. 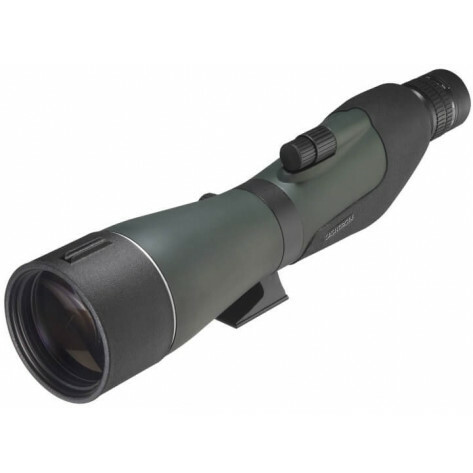 The Sightron SIIBL Series comes with roof prism, and with a 20-60 magnification and 85 objective diameter. 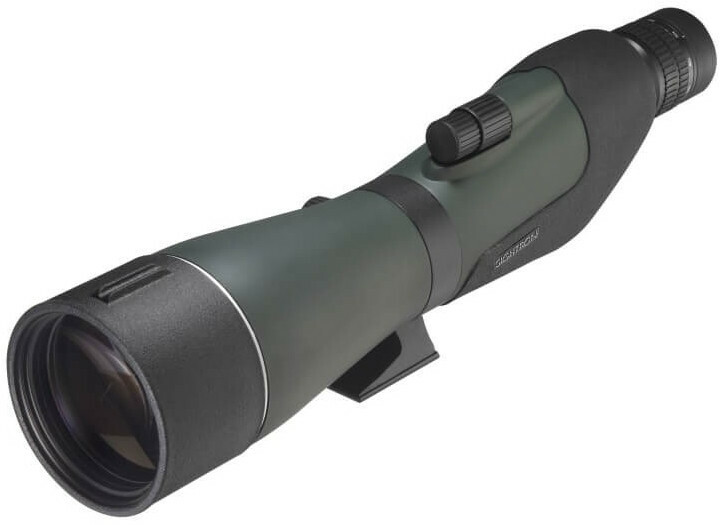 The Sightron SIIBL Waterproof Spotting Scope is topped off with a black rubber finish and offers a pull out sunshade to reduce glare and protect the objective lens. 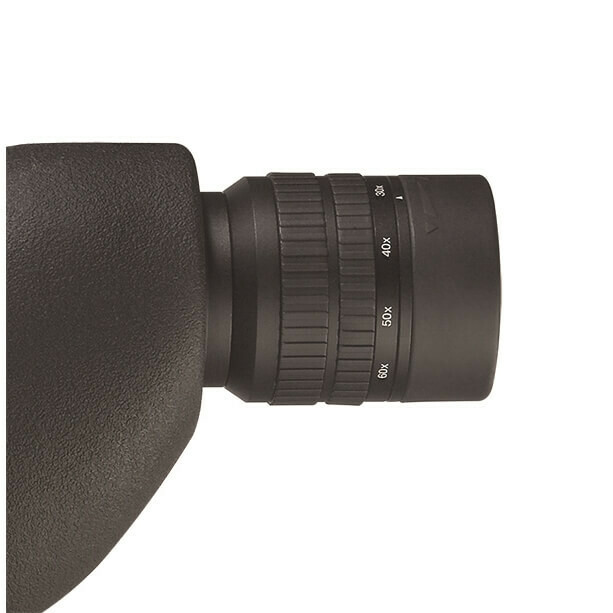 Twist Up/Down Eyecups - A Twist-up and twist-down eyecup is standard on all SII Blue Sky Spotting Scope models. Simply twist-down for eyeglass wearers and twist-up for non-eyeglass wearers for perfect eye relief. Pull Out Sunshade - An attached 3 inch extension sunshade that reduces glare and protects the objective lens. 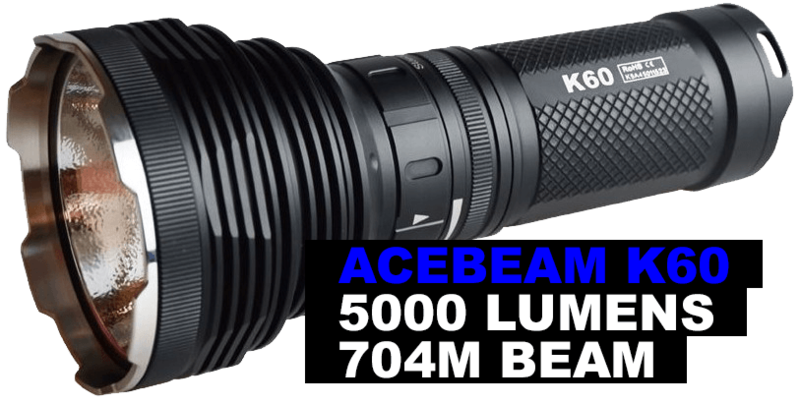 Fully Multi-Coated - Fully multi-coated lenses employ coatings on both surfaces of our precision ground glass to provide the maximum optical quality and light transmission. Waterproof - Rain, snow or humidity, Sightron optics are built using 100% sealed system ensuring a lifetime of performance in the most extreme environmental conditions. ED Glass - Extra Low Dispersion Glass is a special glass added to optical systems to prevent chromatic aberration. Nitrogen Gas Charged - Nitrogen filled to provide a lifetime of use from fogging and internal water buildup.